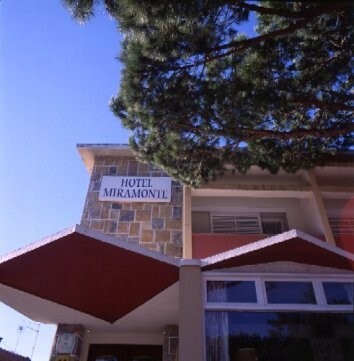 The VIP Hotel Inn Miramonte is located in the countryside near Colares which is 10 kilometres from Sintra in the Lisbon Coast area. This particular village is also renown for its quality table wine. It lies only 2 kilometres from two famous beaches, Praia das Maçãs and Praia Grande. The Lisbon Airport is approximately one hour drive from the Hotel. There are 90 rooms in the Hotel and all are have air-conditioning, a room safe, satellite TV and hair-dryer. The Hotel facilities include an outdoor pool and a children's pool, set in an attractive garden. The pool area is catered for by its Snack-Bar. The Hotel restaurant is an 'à la carte' menu offering both traditional cuisine and international dishes. For social living there is a friendly Bar. A good location for the beach and also to explore the whole Sintra area and although there is a Taxi service we recommend having car would be a practical approach.